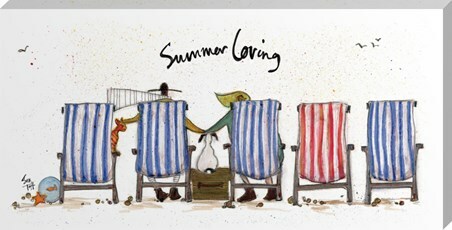 Spend those long summer days with the ones dearest to you and create memories to last a lifetime. 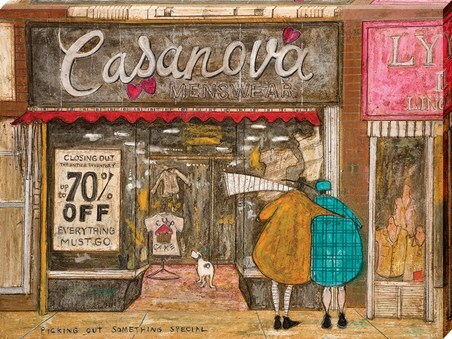 A reminder of what's important, this refreshing canvas print from Brighton-based artist Sam Toft takes another peak into the envious life of the Mustards. Taking inspiration from her local beach, this duo love to visit the coast no matter the weather. 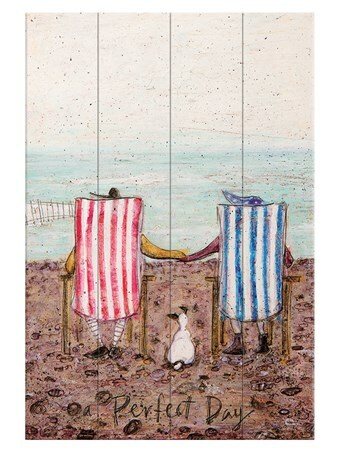 With just a bit of whipping wind they sit plonked in deckchairs with their extended animal family, as one. 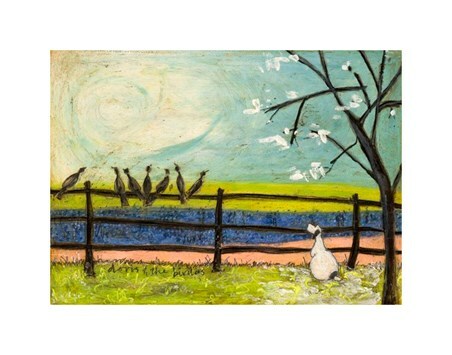 A perfect match for any room of the house, you can't help having a warmed heart with Toft's art in your home. 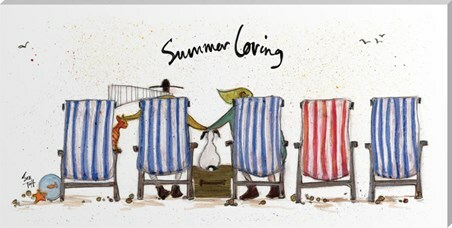 High quality, framed Summer Loving, Sam Toft canvas print with a bespoke frame by our custom framing service.